The name Virgin is synonymous with airlines and the London Marathon, but it's also been an experienced player in the money sector for over 20 years. Starting off as Virgin Direct in 1995, it merged two of its financial arms in 2002 to become Virgin Money. It bought Northern Rock bank in 2012, opening up a bigger range of products and services. It now offers an extensive range of financial services including insurance, bank accounts and loans. In April 2018, there are two types of loans you can get from Virgin - a personal secured loan and a startup loan for new businesses. If you have a Virgin Money mortgage, you can apply for a secured loan. A secured loan is a loan that is attached to your property. If you can't repay the money, the lender can make you sell your house to get their money back, so it’s important to make sure you can make the repayments. This depends on how much your mortgage is and the value of your property. In April 2018, Virgin offers ‘combined' loans (your mortgage plus the value of a loan) of up to 85% of your property's value. Or, if you've got a buy-to-let mortgage, you can borrow up to 75%. Loans start at £3,000. Your loan isn’t guaranteed just because you’ve got a Virgin mortgage though. You’ll still have to show you can afford to pay the loan back and fulfil other lending criteria. How do I repay my Virgin personal secured loan? The repayment terms for your loan will depend on your agreement with Virgin. You'll agree a monthly repayment amount based on how much you borrow and how long you want to borrow it for. You can pay back a secured loan for five to 35 years if you have a residential mortgage, or up to 25 years if you have a buy-to-let mortgage. At the time of writing, there are no early repayment charges on this kind of loan either, meaning you can pay it back when you like without paying extra to do so. This is where you pay back your loan and the interest charged on it. At the end of the loan term, it'll all be paid off. If you choose interest only, during the term of the loan, you'll only pay the interest back - not the money you borrow. At the end of the loan, you'll have to pay back the amount you borrowed. You can’t just rock up and ask for an interest-only loan thinking you’ll be able to figure out how to repay the actual loan later. You’ll need a repayment plan in place, like an endowment policy or an investment bond. During the loan term, Virgin is also entitled to ask you for evidence that your repayment plan is still in place. This kind of loan is subject to some qualifying conditions. You'll need to check to see whether you fit the criteria when you apply for a loan. If you’re thinking of setting up or growing your current business, you can apply for a startup loan with Virgin. Not only can you borrow money to help you get up and running, you also get a year’s worth of free mentoring and other special offers from the Virgin Group. If you’re over 18 and your business is less than two years old, you can apply to borrow up to £25,000. You can borrow the money for up to five years, and if you want to pay it back earlier, there are no early repayment charges. Make sure you check the terms and conditions in case this changes though. How long will it take to get the moolah? The application process can take some time depending on your business idea and where you are with it. The good news is you may be given a business advisor to help you with your application. You'll also have to put together a comprehensive business plan and tell Virgin all there is to know about your business. What’s this about a mentor? Virgin offers successful applicants a business mentor to maximise the chance of your business being successful. They’ll impart their wisdom and guidance, and provide you with support - and all inclusive. As with most loan applications, you’ll have to undergo a credit check to make sure you can afford to pay back what you borrow. You may find you get turned down for a loan if your credit history isn’t good. You can check your credit score by finding a credit report company here. As with most big purchases, make sure you get the most bang for your buck by shopping around. 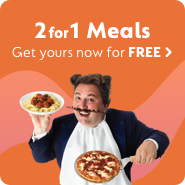 Here at GoCompare, you can compare providers and their rates all in one place. Save yourself time and hopefully money by using our loan comparison service. We wouldn’t be doing our job properly if we didn’t remind you if you don’t keep up the repayments on a secured loan, your home may be repossessed - so make sure you can afford to pay it back.